Dec. 12, 2018 – “To be able to see either your suppliers or your customers face-to-face, at least once a year – that’s why you should attend the Montreal Wood Convention,” said Sven Gustavsson, a softwood manager at the Quebec Wood Export Bureau, when asked why forestry professionals should attend the upcoming Montreal Wood Convention 2019. 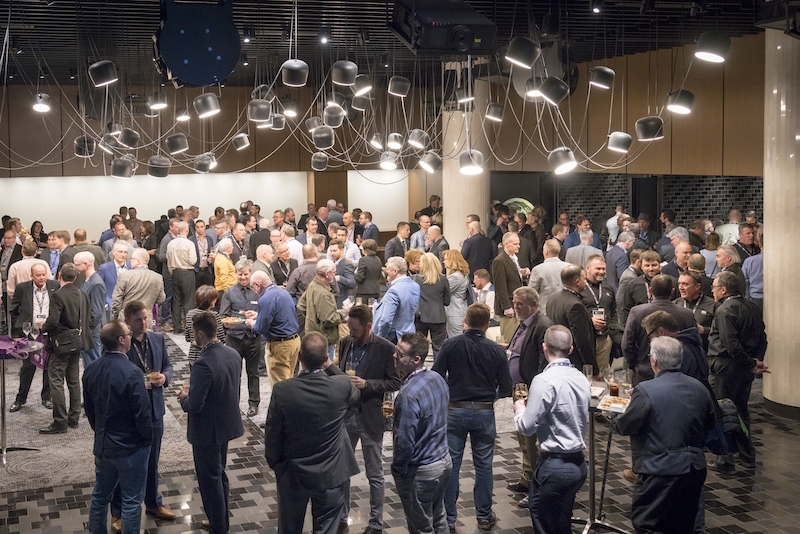 Attendees at the 2018 Montreal Wood Convention. Just like in previous years, the convention is on track to be a successful event, Gustavsson told CFI. This year’s convention will take place from March 19-21 at the Fairmont The Queen Elizabeth in Montreal, and will feature a number of seminars, the trade show and, of course, plenty of time for networking. When it comes to the seminars, Gustavsson believes that this year’s program is exceptionally good. Other seminars will touch on the U.S. housing outlook, how the industry promotes wood and wood construction, the evolution of wood construction, the industry-wide labour shortage, and more. Meanwhile, exhibitor turnout is already looking promising, Gustavsson shared. Out of 115 booths, more than two-thirds have already been booked. Additionally, Gustavsson and his team expect around 1,000 participants, similar to 2018. Despite the trade disputes between Canada and the U.S., Gustavsson is confident that Americans will be present at the event, just as in previous years. “Even though there are political problems, we need to focus on the day-to-day business, and that’s what we do at the Montreal Wood Convention,” he said. Read about the 2018 Montreal Wood Convention here.